The biggest news is that I’m happy to officially announce my next book, which I’m co-writing with my dear friend Anthony Uzarowski. We’re giving Ava Gardner the illustrated biography treatment! Ava Gardner: A Life in Movies (working title) will be published by Running Press in October 2016 and will be of the same format as the Vivien Leigh book. I’ve even requested the same designer who I thought nailed it on the first go around. What excites me about this project is that it’s a chance for me to learn about someone I didn’t know much about already, and to be able to branch off from Vivien Leigh in a professional way. 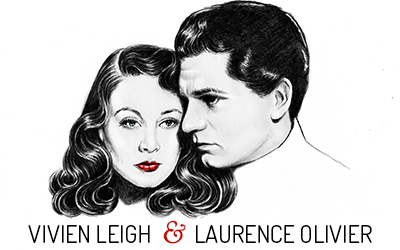 This is not to say my interest in Vivien or Laurence Olivier has waned–in fact it’s only grown as more information and archives become available and there’s a lot of potential for future projects (including one I’m collaborating on at the moment). However, my goal is to be Kendra Bean: Historian rather than just Kendra Bean: Vivien Leigh Expert Lady, you know? So I’m eager to expand my knowledge in different areas of media history. Anthony and I are currently hard at work so if you enjoyed my first effort at book writing, we both hope you’ll stick around for the second! The other big news is that I’m moving back to London in the fall to rejoin Robbie and Lulu the kitty, and also to pursue another MA – this time in Museum Studies at University College London as training to become a museum curator. After co-curating the Starring Vivien Leigh exhibition at the National Portrait Gallery, followed by a Photographs Dept. internship under the guidance of Terence Pepper and Claire Freestone, I felt like I’d finally found an area of work where I feel “at home.” Subsequent involvement with goings-on at the Victoria and Albert Museum has added to my desire to go down that road. I’ve learned that the museum/archives sector is a tough area to break in to, especially with the economy (in the US and UK) being in shambles at the moment, so I’m trying to build up my CV. Luckily, I was given a wonderful opportunity back in January to assist the estate of photographer James Abbe in digitizing and cataloguing his photographic archive. It’s been a very interesting experience so far and I’m proud to be involved with this large-scale project from the beginning. Abbe was a portrait photographer as well as a very active photojournalist from the 1910s-1930s. His subjects ranged from Lillian Gish and Charlie Chaplin to Joseph Stalin and Adolf Hitler. His work has been exhibited a few times in museums, including a landmark show put together by Terence Pepper at the National Portrait Gallery in London back in 1995 that really brought Abbe back into the public consciousness. There is infinite potential for this material and we are working on ways to harness it. The first step is getting it all organized, so that’s what I’ll be doing for the rest of the summer. Yay! Soooo excited to hear about your new book, and all of the cool things happening in your life. I’m so proud of you! Thanks, Tati! I’m excited for all the cool things happening in your life, too! 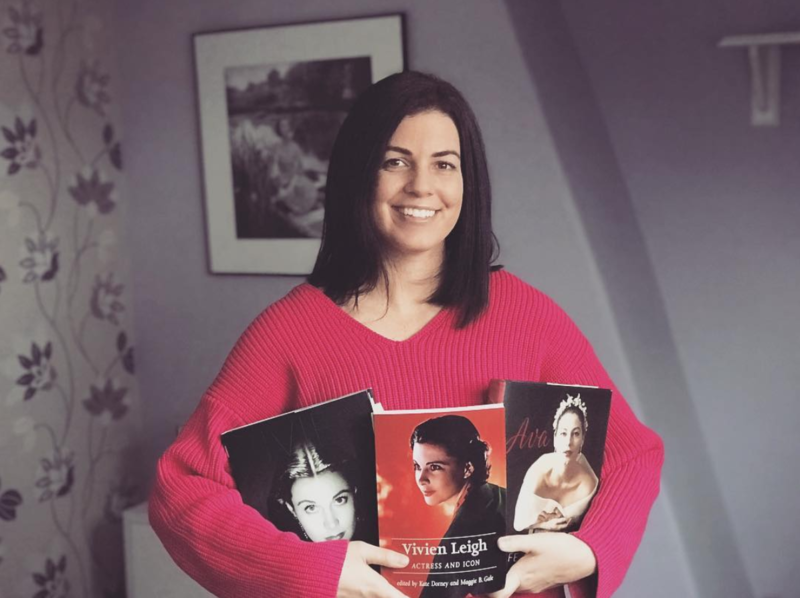 Hi Kendra, am so pleased to hear you are writing another book especially on Ava Gardner, its hard to find really good books on her, Im sure your book will be brilliant and look forward to it. Its great news too about your future, its wonderful to find what you really want to do, good luck with everything! We just discovered your lovely site through our dear friend and colleague Miller Lide. My wife Alison Murphy and I are both actors based in NYC, longtime Viv and Larry buffs, and just performed in a new play I’ve written about the theatrical couple Alfred Lunt and Lynn Fontanne (luntandfontanne.com), which features a scene with Larry and Vivien visiting the Lunts backstage in wartime London… Thank you for the excellent work!